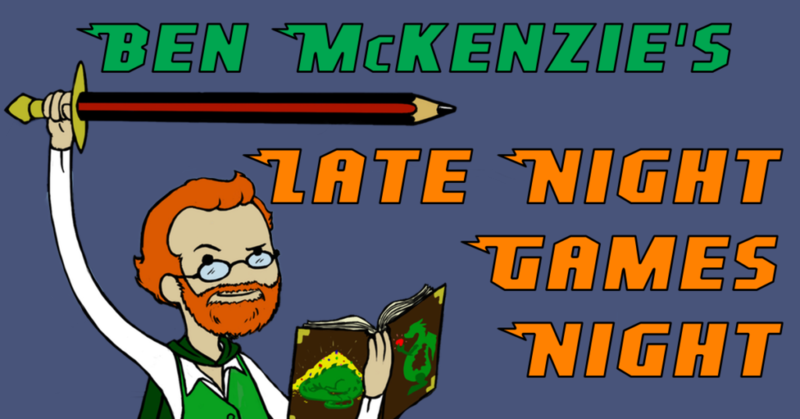 Ben also created Ben McKenzie’s Late Night Games Night: The Board Game! If you’d like a copy – or if you’re looking for alternate final challenges – check out the games page. Saturday, 7 April @ 11 PM – DUNGEON CRAWL with Richard McKenzie! Dungeon Crawl players: Brianna Williams, Jimmy James Eaton and Amanda Buckley!